If you're magnetized to the beauty of the Maine ocean and its rocky coast, then the Katahdin Inn at York Beach, Maine, is a "must-sea." Perfectly situated overlooking beautiful Short Sands Beach, the Katahdin Inn offers a grace and pace every bit as nice as its location. Innkeepers Rae and Bob LeBlanc have created a laid-back, informal atmosphere in their well-maintained, charming 19th century Victorian-by-the-sea that is open year-round. It's the ultimate place to sit on a front porch rocker, enjoy a cup of tea and marvel at the postcard-perfect beach and rocky coast, ocean scene. The Katahdin Inn offers nine, unique cozy rooms -- most with ocean views and some with in-room baths. The living room is quaint and cozy with antique furnishings (and a television) and leads to a semi sun-room with stunning views of the ocean. We stayed in room five, a large, L-shaped room with a double and single bed, a terrific view of the ocean, and efficient bathroom with shower. There's no breakfast at the Katahdin Inn, so it's more of a "bed and beach." After a cup of the coffee or tea, the day is all yours en route to some wonderful ocean walks, myriad attractions including the famous Nubble Lighthouse, Short Sands and Long Sands Beach, and some of the best seafood on the southern Maine coast. At night from the Katahdin Inn, the roar of the ocean provides nature's true pharmaceutical to ensure a good night's sleep. In the morning and throughout the day, a walk across the street to Short Sands Beach offers a "greatest hits" package of what's special about Maine beaches -- a rocky coast, chilly blue ocean waves accented by sparkling sunshine, a stretch of sand perfect for sunning, and a hint of refreshing salt sea air. Spectacular sunrises and sunsets lend a romantic, relaxing feel, whether on the beach or from the Katahdin Inn outdoor porch . The historic Portsmouth, NH, waterfront is less than 20 minutes away and the exciting mix of big city and small town amenities in Portland, Maine are less than an hour away. Of course, the southern Maine coast is replete with endless fun from the shopping outlets of nearby Kittery to the honky tonk mecca of Old Orchard Beach. We have stayed at several York area hotels and inns, and the Katahdin Inn might just be our favorite place to stay now, and in the years to come. The innkeepers are down-to-earth and welcoming, their inn charming, quaint and convenient, the ocean views amazing, and the rates quite reasonable in an area that has shown recent glimpses of becoming upscale. 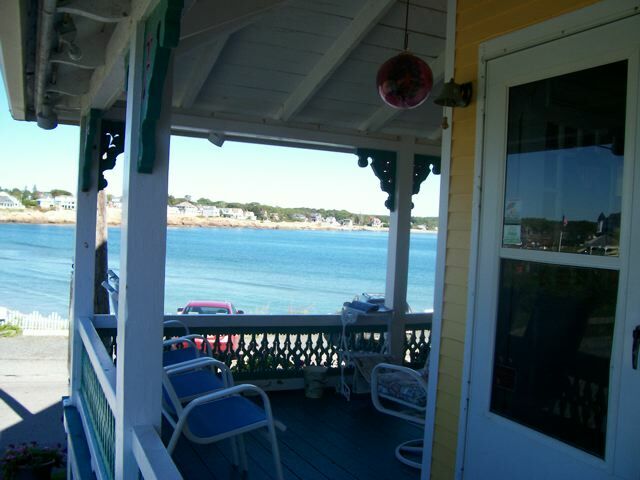 The Katahdin Inn is really the perfect place to stay in York Beach, one of New England's best vacation destinations. 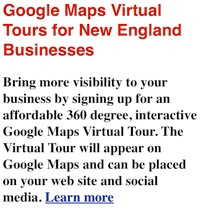 York Maine travel and vacation information for the whole family. Instant vacation memories abound at the southern Maine seacoast. Maine offers some of New England's best fall foliage. What it feels like to be on the Maine rocky coast. Stonewall Kitchen in York, Maine, is a tour de force of gourmet foods, gifts, kitchen and cookware, home decor and garden accessories. Ogunquit is a classic Maine vacation destination. Portsmouth, NH, is a charming coastal New England city.